Welcome back to another weekly fashion post. 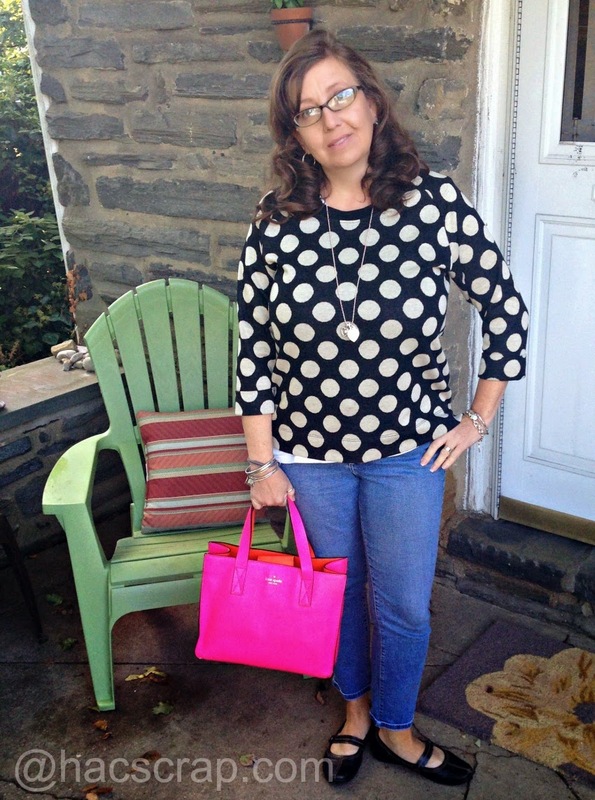 Each week, I share real clothes for real women, along with a healthy does of ideas and inspiration for creating a style that works for you, without spending a ton of money. In the spirit of saving money, this week, I'm sharing some of last season's looks that I am fully preparing to bring back THIS season. It's all about festivals, farms and football in fall, so a fun dressed-up sweatshirt is great choice for family-fun weekends and fall sports events. I add a bright pink scarf to this if there's a real chill in the air. Dresses are going to be big again for me this fall. There is something about a great dress, paired with boots that just says FALL to me! There's nothing like a great cardigan to take you from summer to fall. 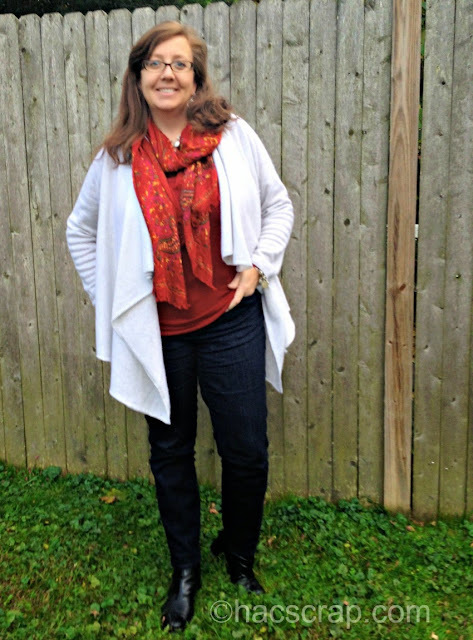 I love these cashmere drapey cardigans and wear them with practically everything. These are just some of the pieces I'm bringing back this fall. Other favorites are jeans, boots and button-down shirts. I hope you enjoyed this jump-start to fall. It's possible to recycle your wardrobe if you fill it with classic, stylish pieces that have a long life. Then you can spend your fashion budget on fun trendy accessories and more inexpensive pieces to really kick up your classics. What are you looking forward to wearing the MOST this fall? This post is linked up at The Pleated Poppy. Check it out for more outfit ideas and inspiration. I have a very similar sweater but instead of white dots, its white hearts. I can't wait to wear it again! My favorite is the cardi!!!!! !